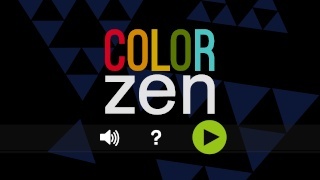 Color Zen is a puzzle title where you must match colors together all while groovy music plays in the background! There are many variances in the game's levels and with well over 400 levels it's quite a lengthy game, but is Color Zen an enjoyable experience? Keep reading to find out! 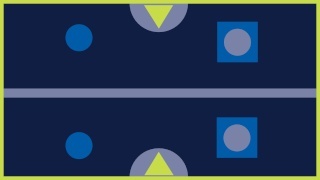 The gameplay is fairly straightforward with the objective of matching colors together, however at the end of each level the background must all be the same color in order to beat the stage! There are some obstacles in many levels including blocks that can't be moved and much more! The stages are ingeniously designed and later levels are extremely difficult. With over 400 levels the game should provide you with many hours of puzzle solving enjoyment! The touch controls are very smooth and work nicely with the game! There aren't really any issues whatsoever with the controls and the Off-TV play is great when playing the game for short bursts! 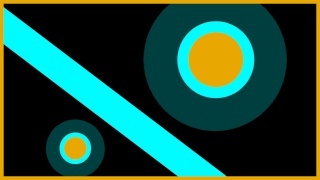 The graphics in Color Zen are simple yet colorful with little to no framerate issues. These simplistic visuals work very well with this game while the simple sound effects and groovy music set the mood for this colorful puzzler! The music is absolutely incredible in this title and it's quite possibly some of the best music we've ever seen from a game in the puzzle genre! With excellent gameplay and tons of content Color Zen has alot of value for its price and the controls in the game are flawless, couple that with simple yet gorgeous visuals and one of the best soundtracks of any game in the genre and you have yourself a game that you should definitely not pass up! We highly recommend this amazing title! The simplicity of this game is brilliant lol. A 9.5/10!? This game must be better then I was expecting!